As you sing unto me, and make melodies in your heart, in psalms and hymns and spiritual songs, you will be joining the countless angels, who constantly sing praises onto Me, says the LORD. Your joy will increase with the level of your heartfelt worship of Me, and sorrow will take wings. The dark thoughts will be replaced with My thoughts, as I inhabit your genuine praise. I will be magnified, and your difficulties will become very small, says the LORD. You will ascend into new heights of My glory, as you rejoice in Me and have laughter, says the Lord. You will laugh at the enemy that is mocking, scorning, taunting, rebuking, threatening, and badgering you. You will see him flee, for he cannot endure your worship of Me. 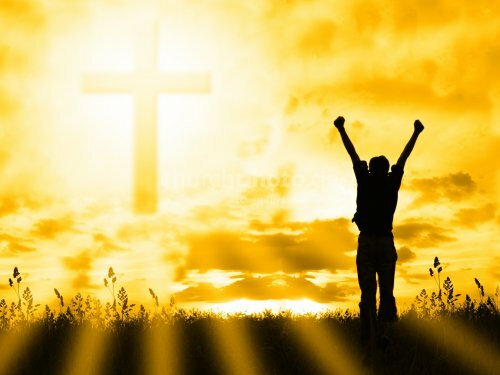 You will stand in amazement, as your focus shifts from heaviness to light-heartedness, as you lift up your voice in praise and thanksgiving unto Me, and offer Me your sacrifice of praise, says the LORD. 🙌🙌🙌🎼🎼🎼 Hossana in the highest!